Here at Maple Holistics we take great care to produce products that are safe for you and your loved ones. You might be shocked at the amount of harmful chemicals that are common in so many cosmetics products on the market. Researchers in the USA have found that 10,500 hazardous industrial chemical ingredients, many of which are pesticides, carcinogens, reproductive toxins, endocrine disruptors, degreasers and plasticizers, are put in cosmetics and personal care products we use daily. Harmful chemicals in cosmetics go on our skin, in our hair, into our lungs and eventually out into the environment as well. 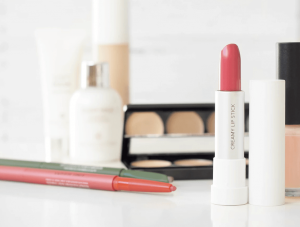 Sadly major loopholes in US federal law allows the cosmetics industry to put thousands of synthetic chemicals into everything from lipstick and lotion to shampoo and shaving cream and more; even if those chemicals are linked to cancer, infertility or birth defects. 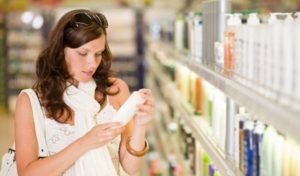 Labels on cosmetics and body care products can be confusing and misleading. The beauty industry is so shockingly unregulated that it’s usually impossible to trust the claims that manufacturers place on their products. I’m not trying to stir up panic here, but you ought to be able to better read the labels to understand what you’re exposing yourself to (or hopefully now avoiding). The word “natural” can be used by anyone for anything, even stating the product is “organic” is misleading. These sneaky companies are supposed to use an organic label only if all ingredients are certified-organic, but they can also say it’s “made with organic” if it contains a minimum of 70 percent certified-organic ingredients. 30 percent still leaves a lot of room for toxins and hazardous compounds. Below, in no particular order, is a list of some of the hazardous ingredients commonly found in cosmetics and personal-care products. 1,3-butadiene: Shaving creams, anti-fungal treatments , spray sunscreens and foundations that contain the propellant isobutene may be contaminated with the carcinogen 1,3-butadiene. Exposure occurs mainly through inhalation. This chemical has been found to increase mammary tumors in rodents. 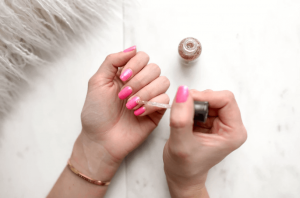 Dibutyl phthalate: Known also as DBP, is used mainly in nail products as a solvent for dyes and as a plasticizer that prevents nail polishes from becoming brittle. Phthalates are also used as fragrance ingredients in many other cosmetics, but consumers won’t find these listed on the label. Fragrance recipes are considered trade secrets, so manufacturers are not required to disclose fragrance chemicals in the list of ingredients. Banned from cosmetics in the European Union, phthalates are widely used in color cosmetics, lotions, body washes and other products sold in the United States. These harmful chemicals are linked to cancer, endocrine disruption, and developmental and reproductive toxicity. DBP is absorbed through the skin. It can enhance the capacity of other chemicals to cause genetic mutations, although it has not been shown to be a mutagen itself. The European Union classifies DBP as a suspected endocrine disruptor on the basis of evidence that it interferes with hormone function, and as toxic to reproduction on the basis that it may cause harm to the unborn child and impair fertility. A volatile petrochemical solvent and paint thinner and potent neurotoxicant that acts as an irritant, impairs breathing and causes nausea. A pregnant woman’s exposure to toluene vapors during pregnancy may impair fetal development. In human epidemiological studies, toluene has been associated with toxicity to the immune system. Some evidence suggests a link to malignant lymphoma. Polycyclic Aromatic Hydrocarbons (PAHs): Polycyclic aromatic hydrocarbons (PAHs) are a group of chemicals that occur naturally in coal, crude oil and gasoline. One of the more common PAHs is naphthalene. Some cosmetics and shampoos are made with coal tar and therefore may contain PAHs. 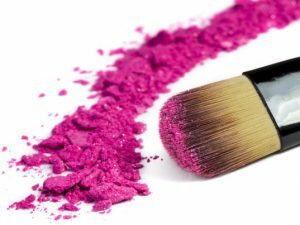 Coal tar-derived colors, which are known carcinogens, are used extensively in cosmetics. They have been shown to increase risk for breast cancer. Boric acid and Sodium borate: Both the European Union and Canada restrict these ingredients in body care products made for children under three years of age and require that products containing these ingredients be labeled as not appropriate for broken or damaged skin. No similar safety standards are in place in the United States. These harmful chemicals disrupt hormones and harm the male reproductive system. The cosmetic industry’s own safety panel states that these harmful chemicals are unsafe for an infant or damaged skin because they can absorb readily into the body. Despite this guidance, boric acid is found in some diaper creams. Nanoparticles: Titanium dioxide and Zinc oxide nanoparticles appear to be among the safer and more effective active ingredients in U.S.-marketed sunscreen creams because they do not penetrate the skin, but you’ll want to avoid sprays and powders containing these nanoparticles, because they can penetrate your lungs and enter your bloodstream. Many other nanoparticles have received very little testing, yet they readily penetrate the skin and contaminate the body. Cosmetics manufacturers are not required to disclose the presence of nanoparticles in products. Resorcinol: Most commonly found in hair dyes, shampoos/hair lotions, peels and in products used to treat acne, eczema and other dermatological issues; Resorcinol is a skin irritant, toxic to the immune system and frequent cause of hair dye allergy. In higher doses it is toxic and can disrupt the function of the central nervous system and lead to respiratory problems. It has also been shown to disrupt the endocrine system, specifically thyroid function. 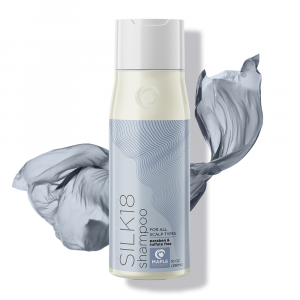 Sodium Laural Sulphate (SLS) & Sodium Laureth Sulphate: found in 90% of products that foam such as shaving foam, hair mousse and foam bath products. It can cause children’s eyes to not develop properly. A person’s body may retain SLS for up to five days and maintain residual levels in the heart, liver, lungs and brain. It is also a common source of children’s eczema and skin irritation, and when found in toothpaste; it may be related to mouth ulcers. It can be transformed into nitrosamines, a potent class of carcinogens. 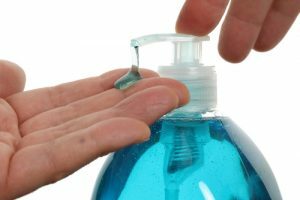 Triclosan: This synthetic “antibacterial” agent is used in antibacterial soaps and detergents, toothpaste and tooth whitening products, antiperspirants/deodorants, shaving products, creams, and more. It has a chemical structure, similar to “Agent Orange.” It is suspected of causing cancer and produces dioxin, a hormone disrupting chemical. Hormone disrupters pose enormous long-term risks which can change genetic material, decrease fertility and sexual function and foster birth defects. Stored in body fat, it can accumulate to toxic levels, damaging the liver, kidneys and lungs and may cause paralysis, brain hemorrhages and heart problems. Overuse may promote the development of bacterial resistance. Vitamin A compounds (retinyl palmitate, retinyl acetate, retinol): These ingredients are widely used in sunscreens, skin lotions, lip products and makeup. Vitamin A is an essential nutrient but not necessarily safe for use on skin. Studies show that when applied to sun-exposed skin, these compounds can increase skin sensitivity. Sunlight also breaks down vitamin A to produce toxic free radicals that can damage DNA and hasten skin lesions and tumors. 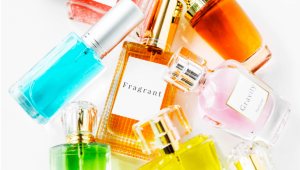 Synthetic fragrances and Parfum: Widely used even in some cosmetic products marketed as “unscented,” this mixture of chemicals, linked to cancer and neurotoxicity. can trigger allergies and asthma. The term “fragrance” or “perfume” on a cosmetic ingredients list usually hides a complex mixture of dozens of harmful chemicals. Some 3,000 chemicals are used as fragrances. A fragrance is an obvious ingredient in perfumes, colognes, and deodorants, but it’s used in nearly every type of personal care product. 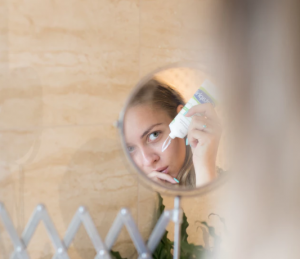 Even products marketed as “fragrance-free” or “unscented” may, in fact, contain fragrance along with a masking agent that prevents the brain from perceiving odor. Synthetic musks are harmful chemicals added as scents to personal care products, including perfumes, colognes, sprays, body wash, scented soap, lotions, and hair products. Synthetic musks bio-accumulate in the environment and have been detected in human breast milk, body fat, blood, and umbilical cords. Studies show that these compounds can disrupt cell functioning and hormone systems. Aluminum: A common ingredient in deodorant and mostly antiperspirant, Aluminum is often linked to Alzheimer’s and brain disorders and is a possible risk factor in breast cancer. 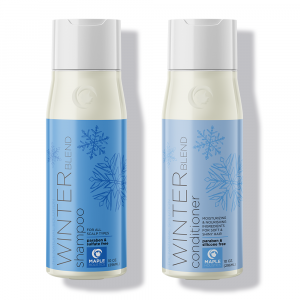 Aluminum-based compounds in antiperspirants form a temporary plug within the sweat duct that stops the flow of sweat to the skin’s surface, which forces toxins to flow back into the bloodstream. Aluminum in personal care products can also be found in feminine hygiene products, baby formula, and antacids. Unfortunately, it is a neurotoxin that also binds and sticks to our red and white blood cells and hormones that can lead to microvascular strokes which cause many other serious issues. Some research suggests that aluminum-based compounds, which are applied frequently and left on the skin near the breast, may be absorbed by the skin and cause estrogen-like (hormonal) effects. Because estrogen has the ability to promote the growth of breast cancer cells, some scientists have suggested that the aluminum-based compounds in antiperspirants may contribute to the development of breast cancer. Carbon black: Carbon black is a dark black powder used as a pigment in cosmetics such as lipstick, mascara, nail polish, eyeliner, eye shadow, brush-on-brow, blushers, rouge, and foundation that has been linked to increased incidence of cancer and negative effects on organs. 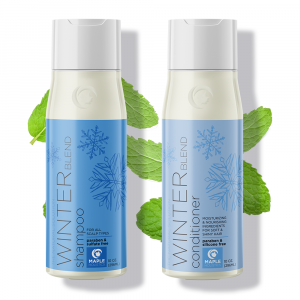 Methylisothiazolinone and Methylchloroisothiazolinone: Methylisothiazolinone (MIT) and Methylchloroisothiazolinone (CMIT) can be found in body wash, lotion, sunscreen, mascara, shaving cream, baby lotion, shampoo, conditioner, hair color, baby shampoo, hairspray, makeup remover, liquid soaps and detergents. 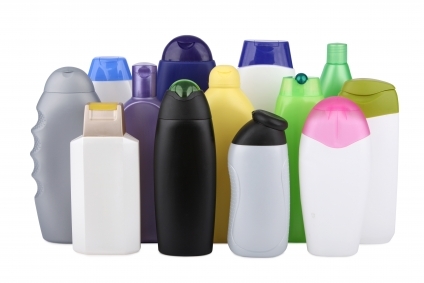 They are widely used preservatives found in liquid cosmetic and personal care products and have been linked to lung toxicity, allergic reactions, and possible neurotoxicity. Both chemicals inhibit bacterial growth in cosmetic products on their own, but they are most commonly used as a mixture in products. Octinoxate: Octinoxate, also called Octyl methoxycinnamate or (OMC), is a UV filter found in hair color products and shampoos, sunscreen, lipstick, nail polish, skin creams. 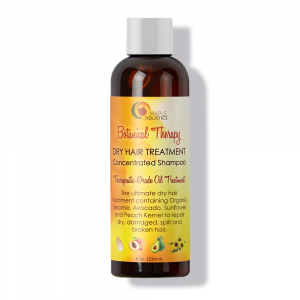 It can be absorbed rapidly through the skin. Octinoxate has been detected in human urine, blood and breast milk, which indicates that humans are systemically exposed to this compound. Octinoxate is an endocrine disruptor that mimics estrogen and can disrupt thyroid function. Octinoxate dissolves in oil, which makes it a fat-seeking substance in the body. It is formed by combining methoxycinnamic acid and 2-ethylhexanol- compounds which are not harmful on their own. When mixed together, they form a clear liquid that does not dissolve in water. Phenoxyethanol: Phenoxyethanol is used as a preservative in cosmetic products to limit bacterial growth and also as a stabilizer in perfumes and soaps. Exposure to phenoxyethanol has been linked to reactions ranging from eczema to severe, life-threatening allergic reactions. Infant oral exposure to phenoxyethanol can acutely affect nervous system function. It can be found in body wash, hand cream, eye shadow, mascara, eye liner, lip gloss, foundation, sunscreen, moisturizer, shampoo, conditioner, concealer, blush, hair color, hair spray, lip balm, lotion, nail polish, baby wipes, baby lotions, fragrance, shaving cream, deodorant, toothpaste, hair removal waxes and hand sanitizer. Harmless hand soap or a deadly chemical concoction? Diethanolamine (DEA),Triethanolamine (TEA) and Monoethanolanine (MEA): DEA (diethanolamine) and DEA compounds are used to make cosmetics creamy or sudsy. DEA also acts as a pH adjuster, counteracting the acidity of other ingredients. They are hormone disrupting chemicals that can form cancer-causing nitrates. DEA is mainly found in moisturizers and sunscreens, while lauramide and cocamide DEA are found in soaps, cleansers, and shampoos. Repeated application of DEA-based detergents has been linked to major increases in liver and kidney cancer. DEA and its compounds cause mild to moderate skin and eye irritation . Parabens (methyl-,ethyl-,proyl-,butyl-,isobutyl-) or Phenonip (a paraben blend): Are chemical preservatives found in a great number of personal care products. Parabens are most common in products that contain significant amounts of water such as lotions, shampoos, conditioners, and facial and shower cleansers and scrubs because they discourage the growth of microbes. 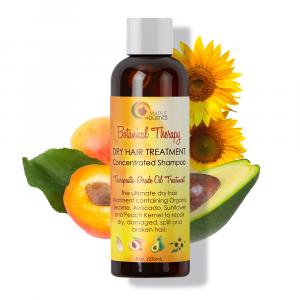 Parabens are not water soluble and can penetrate the skin. 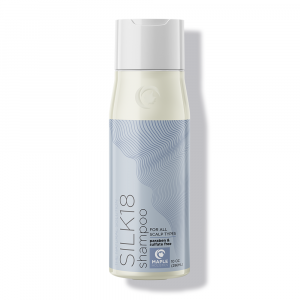 As a result, repeated application of a product or multiple products containing parabens could mean almost continuous exposure. These endocrine-disrupting chemicals can be absorbed through skin, blood and the digestive system. Parabens mimic estrogen which disrupt normal hormone function. Exposure to external estrogen’s have been linked to an increase risk of breast cancer. Mica: Mica is a naturally occurring mineral dust often used in makeup foundations. Mica minerals are often used as color additives in cosmetics. They also have reflective properties, allowing for a shimmery effect in mineral foundations. Long-term inhalation of mica dust may cause lung scarring which leads to symptoms such as coughing, shortness of breath, weakness, and weight loss. Mica may cause lung scarring over time. Polyacrylamide: Found in anti-aging products, facial moisturizers, lotions, color cosmetics, hair products, sunscreens, and more, polyacrylamide can break down into known carcinogen acrylamide. Polyacrylamide is used as a stabilizer and binder in lotions and other products. Though it is not a concern in itself, it is made up of repeating molecules of acrylamide, which is a strongly suspected carcinogen and has been linked to mammary tumors. The European Union (EU) sets limits for the amount of acrylamide allowed in products containing polyacrylamide, but the United States does not currently regulate it. Acrylates (ethyl acrylate, ethyl methacrylate, and methyl methacrylate): These are ingredients found in artificial nail products. Acrylates are derived from acrylic acid and are commonly found in cosmetic nail preparations. Ethyl acrylate acts as an adhesive to apply artificial nails and eyelashes. Users are mainly exposed to these harmful chemicals through inhalation or skin contact. Despite evidence of adverse skin, eye, and throat reactions to these chemicals, they continue to be used. Health concerns include developmental and reproductive toxicity, organ system toxicity, cancer, cellular and neurological damage, and irritations. PEG compounds: PEGs (polyethylene glycols) are petroleum-based compounds that are widely used in cosmetics as thickeners, solvents, softeners, and moisture-carriers. PEGs are commonly used as cosmetic cream bases. They are also used in pharmaceuticals as laxatives. 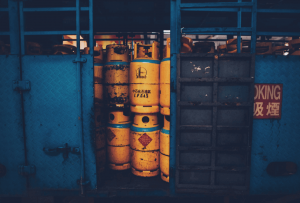 Depending on manufacturing processes, PEGs can be contaminated with measurable amounts of ethylene oxide and 1,4-dioxane, which are possible human carcinogens. Ethylene oxide can also harm the nervous system. While carcinogenic contaminants are the primary concern, PEG compounds themselves show some evidence of genotoxicity and if used on broken skin can cause irritation and systemic toxicity. Also, PEG functions as a “penetration enhancer,” increasing the permeability of the skin to allow greater absorption of the product — including harmful ingredients. 1,4-dioxane is also persistent. In other words, it doesn’t easily degrade and can remain in the environment long after it is rinsed down the shower drain. The best thing we consumers can do is read ingredient lists carefully in order to avoid harmful chemicals that are known to be harmful, even though they continue to be widely used. Being informed will allow you to make more intelligent and conscious choices for yourself, your family, and the planet as a whole. You might lose a couple of seconds of your life while looking for harmful chemicals on product labels, but think of the healthier years you’ll add to your life, the illnesses you’ll avoid, and the environmental pollution you’ll be preventing.